I’ve went back and forth as to whether I want to share this plan with the world. Do I want to put it out there and then fail? Well, no, who would?! But, then I thought about how posting and sharing it might make me more accountable. It might help me get that run in even when I’m tired, feeling lazy, would rather be watching the Real Housewives of Orange County (we might be the last few people without DVR), it is late after working, or it is a million degrees outside. Training over the summer brings its own unique challenges. Extra free time does not mean extra accomplished. Nice outside doesn’t mean nice running temperatures (I hate hot weather running). No teaching doesn’t mean no working. Not getting up early means staying up extra late i.e. hotter runs in the a.m.
By now you’ve tired of my excuses, which is exactly what I’m tired of. I need to stop, hold myself accountable, and just do it already! I have struggled with summer training plans in the past. This year I don’t want to. I’m not going to…as much. The plan this summer is to run more races in order to deviate from the same long run routes. I will hit the trails of state parks to seek shelter from the relentless sun and add hill training to my marathon training. I will explore new routes and places and maybe even get lost a few times. Adventure awaits. By thinking of long runs as a chance to explore a new place it completely changes my mindset. I will embrace late night running whenever I find it challenging to get an a.m. run in. Last summer I did run a few times beginning at midnight or 1 a.m. as training for the Great River Ragnar Relay. I can do it again. So here it is-my Big Cottonwood Marathon Training Plan (with a goal to qualify for Boston)! For those of you who run more miles in preparation for a marathon-way to go. I don’t know how you do it! I like some free time and Summer Shandy too much. For those of you who can’t imagine running this many miles, you should know I did not/do not always train like this. Preparing for my first marathon I followed the plan below from Grandma’s Marathon. I only could manage running five days a week, so I dropped the shortest run from each week and only ran one 20 mile long run. I felt very prepared for my race and met my goal of finishing in under four hours. Training for my second marathon I ran a little more. I did a similar plan, but two 20 milers. My third and fourth training cycles I ran more. My fifth and sixth I hardly trained and didn’t follow a plan. Life sort of dictates the devotion I give. 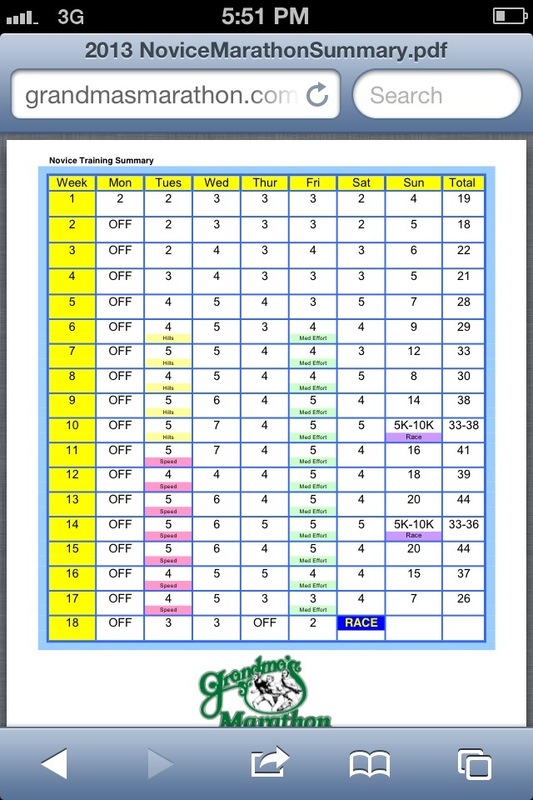 My summer training plan is similar to the one I did last fall. This is taken from the book Advanced Marathoning by Pete Pfitzinger. Every run has a purpose. There are no runs to run. I will miss that by the end. For other plans I have used, I have links below if you are interested. There is no feeling like crossing the finish line for the first time…or the second or the 32nd. Any race you are inspired to run is a great one no matter the distance. 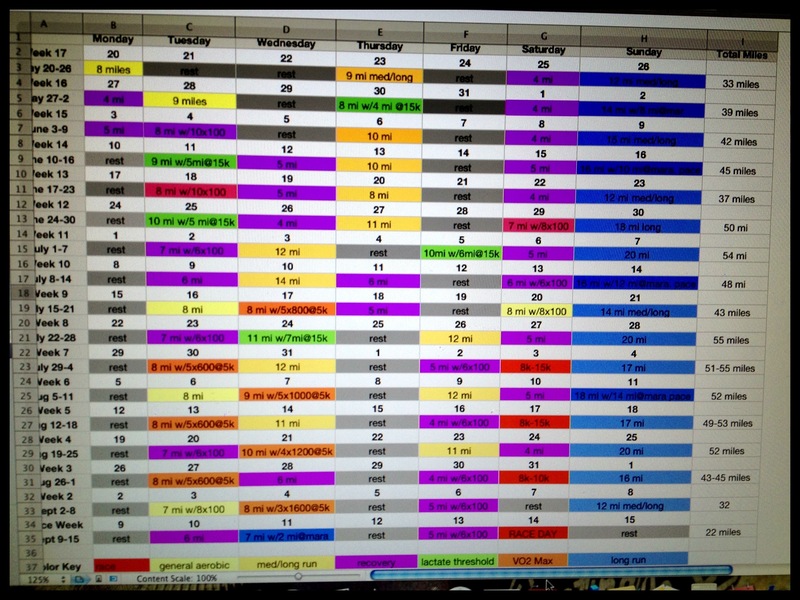 Hal Higdon-Half and Full Marathon Plans I’ve done intermediate 1 and 2 and a couple of his half marathon plans. Jeff Gaudette-Runkeeper.com. This website offers training plans that appear on your phone and iPad when you have the Runkeeper app, too. You have to create an account, but it will track your running and let you set goals that it progress monitors (teacher talk) when you enter new runs. It is way cool; check it out! Couch-to-5k or 10k plans are also available online. You can download apps to track your progress for both distances, too. Do you have a workout plan you follow? What have you loved? Hated? What has worked for you? 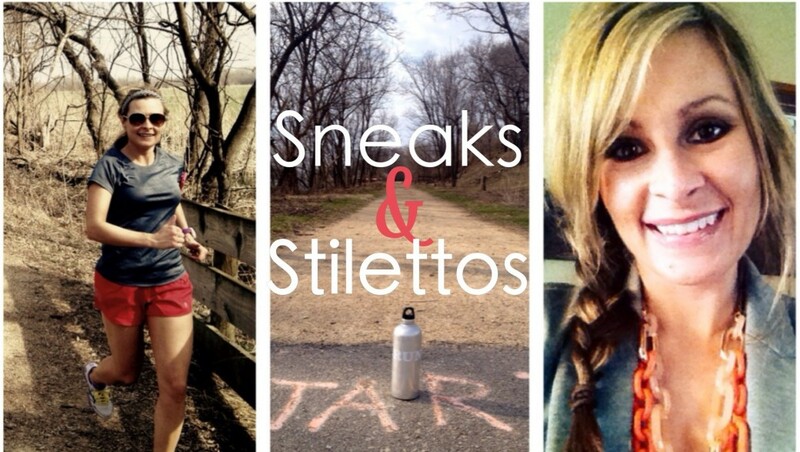 I was even a little nervous to put my 14 day challenge on my blog. But you’re right that a public commitment can help foster more self-accountability. Good luck with your training!